Reliable indicators for adoptive T-cell transfer. CASY determines of the size and the growth of T cells. Using these indicators is easy, fast and reliable monitoring of T-cell cultures for e. g. adoptive T cell transfer. 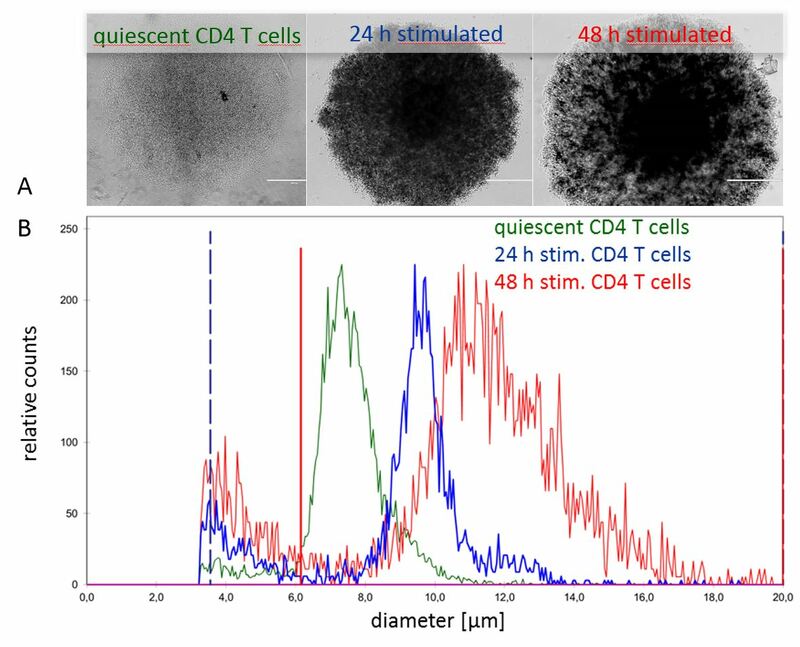 Based on their Publication of 2015, the authors K. Renner, C. Bruss and S. Färber from University Hospital Regensburg demonstrate how their CASY TT accurately determines cell size during the stimulation of T cells. Similarly, various metabolic conditions – such as food restriction, a condition often observed in the vicinity of tumors – can be investigated. This allows simple and fast clarification to what extent T-cell functions and proliferation are affected under pathophysiological conditions . These are important parameters in the development of immunotherapeutic concepts..
By the way: The graphics were created with CASYworX. The software is available free of charge for all CASY TT users: CASYworX.